The Wigmore Hall is running two Beethoven sonata cycles in tandem, at different speeds: while Igor Levit gets stuck into his cycle, Llyr Williams continues his in a more leisurely arc. And since in October these cycles came within two days of each other, comparisons are mandatory. The media-friendly Levit may be one of the most promising young pianists to come out of Russia via Germany, but his quest for originality can lead him astray – as it did with his first piece, Sonata in F sharp major Opus 78. His approach reminded me of Beethoven’s pupil Carl Czerny’s description of this piece as ‘calm, artless, tender and innocent’. It also reminded me of Donald Francis Tovey’s verdict (after stressing Beethoven’s caveat allegro ma non troppo) that ‘in the first movement a brilliant rendering is simply detestable’. I was reminded of these things because this account (a) wasn’t what Czerny described, and because (b) it came perilously close to what the magisterial Tovey, whose judgments are imprinted in the minds of all those of us who grew up playing the Associated Board edition, was gunning for. Levit pulled the first movement about in a way which subverted the artlessness Czerny praised, and in his hands the second – a miracle of terse elegance – was rendered knotty and tricksy, particularly in its sweetly-rushing pairs of quavers. Levit did something with these which I have never before heard – full marks for originality, at least – and don’t expect to hear again: the first of each pair of notes was turned into a harshly clipped appoggiatura, creating a machine-gun effect. Why did he do it? Because he could, one assumes. But this was a travesty. However his next piece – Sonata in E flat Opus 7 – was masterly. The first movement of this early work is full-on heroic, while the second is an utterance of huge emotional resonance. Levit brought out the drama of the key-shifts and muscular syncopations of the Allegro, and expanded the Largo into something majestic, with a middle section suggesting fate ticking like a giant clock in a dark and malevolent universe. Levit’s strength lies in effects created through a finely-calibrated control of texture; he turned the minore section into an excited rumble, found fire and thunder at the heart of the Rondo, and made the most of the radiant key-change which is that movement’s most bewitching moment before its nonchalant disappearance into the distance. He had fun with the clownish finale to Opus 14 No 2, and gave a vivid account of ‘Les adieux’. Levit’s nervy approach to the keyboard suggests a repelling/attracting electrical charge: on finishing a piece he springs back, hands in the air, as though any further contact would burn him. 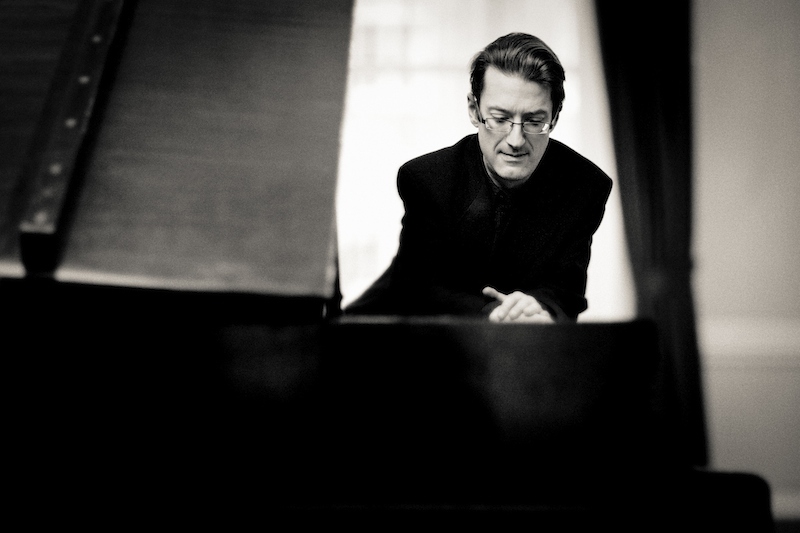 Llyr Williams, in contrast, treats his instrument as an extension of his body, and with the three Opus 10 sonatas plus the Diabelli Variations he took us onto an altogether more exalted plane. Composed when Beethoven was in his mid-twenties, the Opus 10 sonatas bristle with wit and invention which Williams put into high relief, and he rendered the arcane mysteries of the slow movements with oracular power. Compared with Levit’s, his touch seemed at first both heavy and pedantically precise, and the way he motored through the first few Diabelli variations, passing up all pretexts for incidental drama, suggested that no great surprises lay in store. It was only when we were called to attention by the dry staccato commands of Variation 13 that his intention became clear: from that point on we were in uncharted territory, so profoundly original was his take on this sometimes too-familiar music. The drifting Wagnerian tonalities in Variation 20 became newly mysterious, and in 29 the arioso had an exquisite warmth which continued ever more persuasively through the following two variations, with every demi-semi-quaver of the ornamentation given full expressive value; the final transformation of the original theme brought a sense of wonder. At its best, Levit’s playing elicits admiration; Llyr Williams’s art is fuelled by love. If Levit is a painter, Williams is a poet. The first leg of Angela Hewitt’s ‘Bach Odyssey’ was neither as grandiose nor as predictable as its title might have led us to expect. Instead of core stuff, she played rarities: the Capriccio ‘on the departure of his beloved brother’, a theme and variations ‘alla maniera Italiana’, a Fantasy and Fugue in A minor, plus the complete sets of Two-Part Inventions and Sinfonias. The way Hewitt delivered the latter gave the impression of one single variegated work, with the plangent ninth forming its dark heart – like the Black Pearl variation in the Goldbergs – after which the following two pieces brushed away the tears with joyful lightness; she gave the Fantasy and Fugue a grand-diapason conclusion. But in this situation the Fazioli on which she was playing counted for little: the qualities which make this instrument so wonderfully suited to Chopin don’t do much for Bach. Hewitt won’t thank me for saying this, and it may sound counter-intuitive, but the character and colour of this music can emerge more vividly on a harpsichord. to emerge transcendent, but Denk’s pianism was bracing in the extreme: if he repeats this thought-provoking stunt I will certainly be there. There certainly wasn’t when he sat down to make his Wigmore return with an all-Beethoven programme. Starting with the gnomic 6 Variations on an Original Theme Opus 34, and continuing with the Sonata Opus 31 No 3 in E flat followed by the ‘Appassionata’, he played with immaculate authority. The spaciousness with which he invested the variations high-lit their mystery, and he brought playful brilliance to the E flat sonata; the Scherzo was full of slap and tickle, the Menuetto emerged with a touch of menace, and, if his tempi had hitherto been on the slow side, the concluding Presto went like the wind. My only reservation with his ‘Appassionata’ concerned the Andante, which was too pulled-about to create the necessary deep calm before the Presto (which flew); the Allegro assai had thunderous grandeur. During this Wigmore-dominated period I must also record one foray elsewhere – to the rejuvenated St John’s Smith Square to catch yet another all-Beethoven programme, this time by Geoffrey Saba. This veteran Australian pianist may not be a front-rank virtuoso, but his performance of the last three sonatas plus the Opus 126 Bagatelles was heart-warmingly true to the spirit of the music. He gave the Opus 109 grace and glow, and offered a notably clean and unfussy account of Opus 111 – one had the feeling he was simply letting the music speak for itself; the variations had a gentle swing, with the line of thought remaining unbroken while the colouring went through its many transformations. As a cornucopia of ideas, Beethoven’s piano music is inexhaustible.